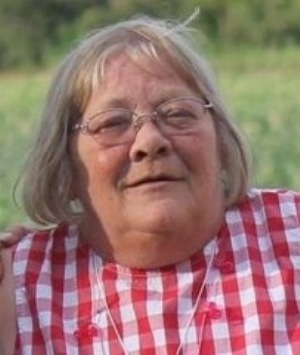 Roberta Christine Lanier, 67, known by family and friends as Chris, of Laughlin, NV, formerly of Fremont, OH passed away on Sunday, April 7, 2019. Chris was born on July 1, 1951 in Bellevue, OH to Robert and Betty Eishen. She married William Harold Lanier on October 30, 2010 and he survives. Chris was a Supervisor at Martin Industries for twenty-five years, retiring in November 2017. She then moved to Laughlin, NV in July 2018. Chris enjoyed spending time with her family and friends. Chris is survived by her husband, William Harold Lanier, Laughlin; daughters, Tammy (Mike) Goble, Fremont, OH and Betty (Keith Brooks) White, Staurts Draft, VA; sisters, Penny Luna, Laughlin, NV and Cheryl Livingston, Bellevue, OH; step-mom, Carol (Jim) Pontious, Clyde; sisters-in-law, Deedee Strausbaugh, Penny Crispen and Cathy Henry; step-sons, Justin Johnson, Fremont, Keith Johnson, Port Clinton, Matt and Cody Lanier, Clyde, eight grandchildren, John Goble, Amanda Goble, Bryana Lehmann, Dominique Mowery, Bethany Lehmann, Dylan Lehmann and Kaleb Johnson; twelve great-grandchildren, Serinity Metz, Rileigh Sullivan, Machiavelli Metz, Jasper Burchett, Nevaeh Lehmann, Rowan Metz, Carter Gwiner, Landon Goble, Keaton Newman, Briella Gwiner, Brentley Pauley and Hayden Lehmann and several nieces and nephews. Chris was preceded in death by her parents, first husband, John T. White; grandson, James Metz; brother, Robert Eishen Jr. and sisters, Carol Roddy and Becky Haro. Visitation: Tuesday from 4 – 8 pm at Wonderly Horvath Hanes Funeral Home and Crematory, 425 E State St., Fremont, OH. Service: Wednesday, April 17, 2019, 11:00 am at the funeral home, with one hour of visitation prior to the service. Pastor Jeff Good will officiate. Burial: Greenlawn Memory Gardens, Clyde, OH. I am so very sorry to hear of this loss… losing a Mama is the hardest thing you will ever do. Your family will be in my prayers!!! Love you both! !